Jordan and his wife Prieto, shown here in 2011, are expecting twin daughters. The last time Michael Jordan had kids, the world was blessed with Space Jam. Let’s hope the announcement of new members of Jordan’s family brings similar good fortune. Jordan already has three children — two sons and a daughter, who are now all in their 20s — from his first marriage to Juanita Vanoy. 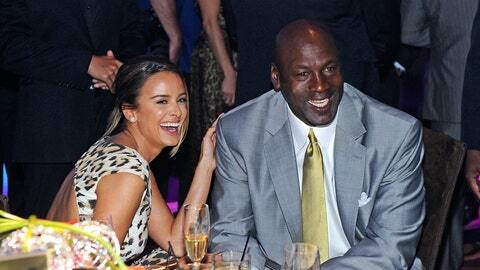 Jordan and Vanoy divorced in 2006, with the ex-Mrs. Jordan reportedly receiving a whopping $168 million settlement. That payout makes Jordan’s divorce the costliest celebrity breakup on record. NESN contributed to this report.